Sound & Light installation. 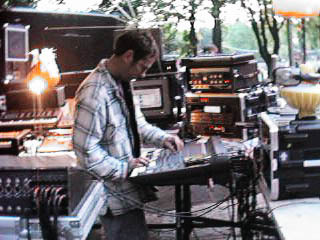 Part of a large scale, night time sound art event across the park. 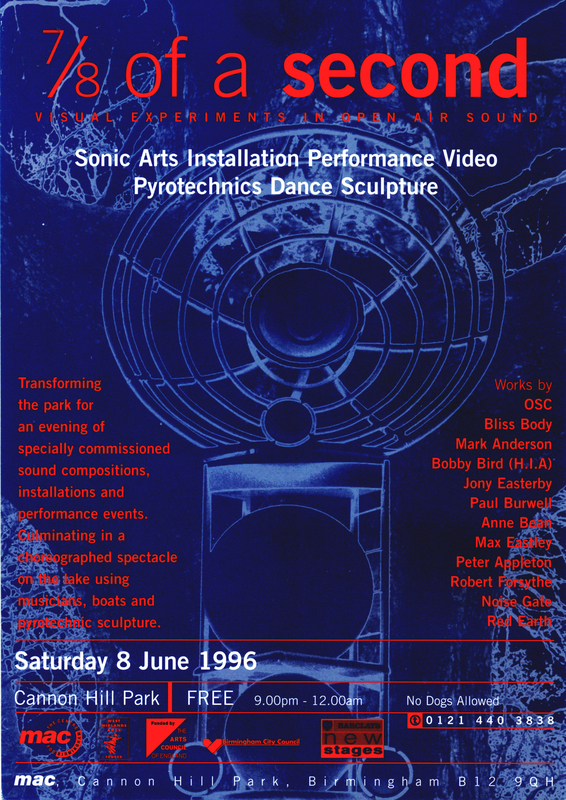 Octophonic fullrange speakers, quadraphonic subwoofers & quadraphonic horns, hired form B.E.A.S.T were placed in the park bandstand, aiming inwards. 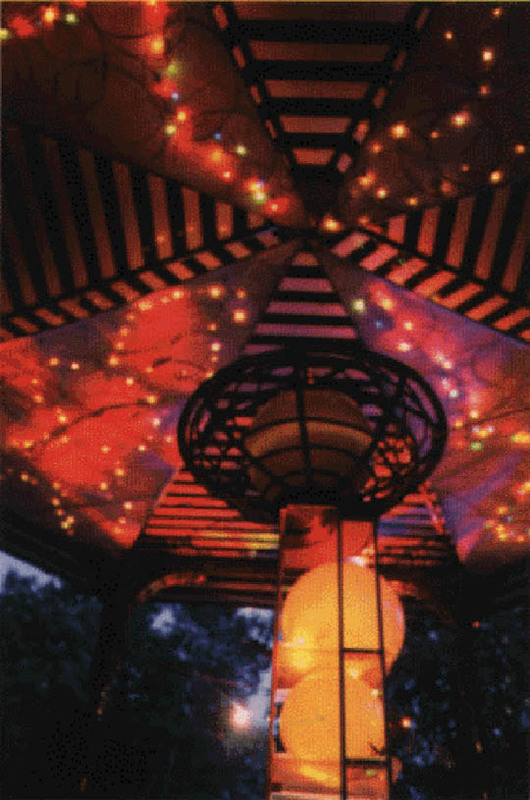 Light sculptures were constructed at four outer points of the bandstand. In the inner ceiling morphing ‘butterfly wings were constructed from tissue paper and colored lights. On the outer rooftop two hundred flashing red bycycle lights shone through the dark. 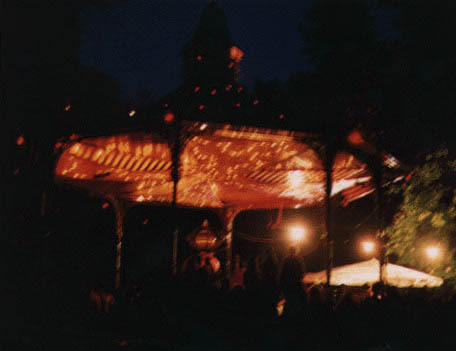 The audio mixing /performance space was set outside of the bandstand, with a listening space left in the centre of the bandstand where the audience were seated on cushions.